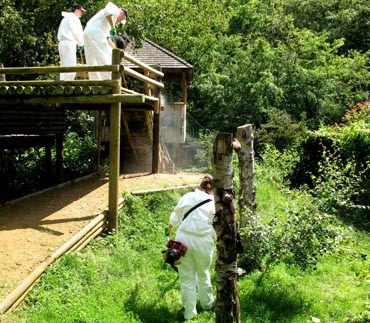 Paradise Wildlife Park, based near north London has given us the opportunity to work closely on a number of projects relating to animal and environmental welfare. 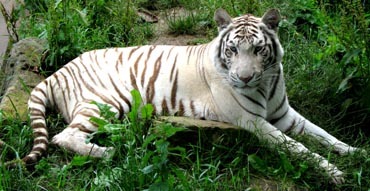 For example, many of the tigers have been rescued from captivity. There is also an extensive special ongoing breeding programme to re-populate the wild. Whether it is a 1/2 day, full day or even a years worth of mini projects, we can provide clients with access to the park to participate in various housing projects. We have previously worked on Tiger home renovation projects that are demanding, yet rewarding. Each project is unique with different tasks and different opportunites. 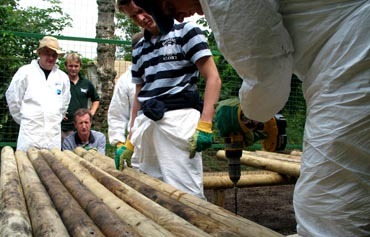 Our team building activities make a real difference for the animals. We provide all the organisation, materials, tools and support to make this event run smoothly. The team building event can be quite rewarding. Teams get down and dirty, cleaning and clearing the enclosures, preparing them for the new owners. It can be hard work, but the team building skills acquired make this day spectacularly memorable. 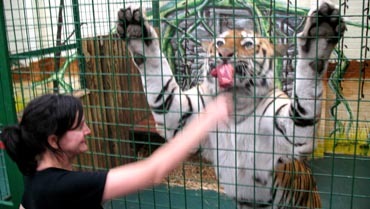 Visitors may sometimes experience a once in a life time opportunity to hand feed the tigers from the safety of a small indoor enclosure. This experience normally has a waiting list of around a year for members of the general public and can only be done at a few select locations around the UK. Paradise Wildlife Park not only provides tiger homing programmes but also various other animal team building activities involving Cheetahs, Lions and even building a brand new Penguin enclosure. Renovation projects are available throughout the year.